The Kansas Bureau of Investigation (KBI) is accepting applications for Technical Special Agent positions. These positions will be assigned to the regional offices and headquarters; Topeka, Lenexa, Wichita, and Great Bend. The positions will be assigned to the Field Investigations Division, Crime Scene Response Team and will be filled contingent upon funding and position availability. Primarily assigned to the Crime Scene Response Team and will be required to perform advanced crime scene investigation techniques. Protects and processes crime scenes by identifying and collecting physical evidence using photography, various measuring techniques and diagramming; lifting fingerprints, casting impressions, and properly tagging, packaging and transporting evidence for forensic examinations. Conducts interviews with victims, witnesses and suspects to obtain relevant case information in accordance with rules of evidence. 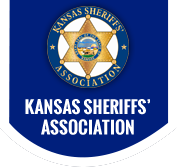 Prepares appropriate administrative and investigative reports and forms required by the Kansas Bureau of Investigation. Employs appropriate surveillance techniques including undercover surveillance by observing suspected persons and determining their involvement in criminal activities; conducts electronic surveillance by legally installing and operating electronic surveillance equipment. Confers with prosecutors for preparation and presentation of evidence in courts of law and other legal proceedings; presents evidence in order to obtain subpoenas, search and arrest warrants. Participates in raids to seize evidence or apprehend suspects. Performs related work as speaking to civil groups on crime prevention and law enforcement topics; providing physical security for witnesses and dignitaries and verifying the safety of situations that will be encountered prior the arrival of dignitaries. Additional duties and responsibilities may be added to the position description at any time. The position description does not state or imply that these are the only activities to be performed by the employee(s) holding this position. Employees are required to follow any other job-related instructions and to perform any other job-related responsibilities as requested by their supervisor. College degree from an accredited university –or- must be a certified law enforcement officer in good standing with KS-CPOST. Pursuant to K.S.A. 74-5605, applicants must be United States citizens and at least 21 years of age. This position requires the use of a firearm for law enforcement duties. Therefore, to be eligible for appointment, candidates cannot be prohibited from shipping, transporting, possessing or receiving a firearm or ammunition under 18 U.S.C. § 922(g) or (n), K.S.A. 2013 Supp. 21-6301 or K.S.A. 2013 Supp. 21-6304. Be a United States citizen and at least 21 years of age. Not have been convicted of a crime that would constitute a felony under the laws of the state, a misdemeanor crime of domestic violence, or a misdemeanor offense that the Kansas Commission on Peace Officers’ Standards and Training determines reflects on the honesty, trustworthiness, integrity or competence of the applicant as defined by rules and regulations of the Commission. As used in this section, “conviction” includes rendering of judgment by a military court martial pursuant to the uniform code of military justice, by a court of the United States or by a court of competent jurisdiction in any state, whether or not expunged; and any diversion agreement entered into for a misdemeanor crime of domestic violence and any diversion agreement entered into on or after July 1, 1995, for a felony. Have graduated from a high school accredited by the Kansas state board of education or the appropriate accrediting agency of another state jurisdiction or have obtained the equivalent of a high school education as defined by rules and regulations of the Commission. Be of good moral character sufficient to warrant the public trust in the applicant as a police officer or law enforcement officer. Be able to effectively testify in court. Certified law enforcement applicants must not have any Brady/Giglio material in background to be eligible for hiring. PREFERRED REQUIREMENTS: The KBI will give preference to candidates with a current law enforcement certification, those with a college degree, candidates who possess crime scene certification though the IAI, and/or those who have graduated from the University of Tennessee, National Forensic Academy. TRAVEL: The Special Agent in this position is expected to travel to the locations required to competently and diligently discharge the assigned duties. Regular in-state and limited out-of-state travel may be required. A valid driver’s license is required when operating a state vehicle, a private vehicle, or a rental vehicle for the benefit of the State. OTHER REQUIREMENTS: Candidates are subject to a pre-employment process to include a physical ability assessment, polygraph examination, drug-screening test, physical examination, psychological testing and a complete background investigation, including reference check of past and present employers. The pre-employment polygraph and background investigation process will be waived for current KBI personnel who have previously completed the requirements. The application process has 5 REQUIRED STEPS. STEP 2: Each applicant applying for a State of Kansas job vacancy must obtain a valid Kansas Certificate of Tax Clearance by accessing the Kansas Department of Revenue website at http://www.ksrevenue.org/taxclearance.html. If you need assistance with the tax clearance, please contact 785-296-3199. A Tax Clearance is a comprehensive tax account review to determine and ensure that an individual's account is compliant with all primary Kansas Tax Laws. A Tax Clearance expires every 90 days. All applicants, including current state employees, are responsible for submitting a valid certificate with all other application materials to the hiring agency. STEP 4: Submit your online application to Kansas Bureau of Investigation (KBI). What To Expect Next: After your application is evaluated and ranked, you may be referred to the hiring manager for further consideration and possible interview. You will be notified of the outcome after the selection process is complete. You may call or email the recruiter contact listed to inquire about your application. Individuals with disabilities are encouraged to contact the agency recruiter if reasonable accommodations are needed for any part of the application or hiring process. The Kansas Bureau of Investigation is an Equal Opportunity Employer.